On February 28, I saw the “Great American Spit Out/ Tobacco Cessation” webpage (from my archive here), published by the Army Public Health Command (APHC) to “raise awareness of the dangers associated with smokeless tobacco.” The site was inaccurate and unprofessional with regard to smokeless tobacco use among army personnel. I contacted two APHC staffers and explained that this statement was factually incorrect and indefensible. 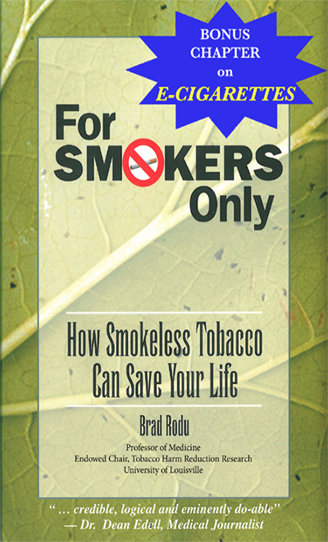 A 2004 National Cancer Institute study concluded: … “[smokeless] products pose a substantially lower risk to the user than do conventional cigarettes. This finding raises ethical questions concerning whether it is inappropriate and misleading for government officials or public health experts to characterize smokeless tobacco products as comparably dangerous with cigarette smoking.” (abstract here). To its credit, the APHC responded quickly. Less than 24 hours later, on February 29, the just-as-dangerous myth was removed from the website (here). I also explained to the APHC that the word “spit” is demeaning, disrespectful and deplorable, as I pointed out in a previous post (here). Two years ago, I wrote to federal officials, strongly objecting to use of this term (here). The Centers for Disease Control, the Food and Drug Administration and the National Institute for Dental and Craniofacial Research responded by removing the offensive term from websites and other publicly available materials (here). It’s time for the Department of Defense and the U.S. Army Medical Command to abandon this offensive language, treat smokeless tobacco users with respect, and provide accurate medical information, particularly on the subject of tobacco harm reduction. Six months’ treatment with nicotine produces measurable improvement in patients with amnestic mild cognitive impairment (MCI), a decline in cognition and function that falls short of dementia or Alzheimer’s Disease, according to research published in the journal Neurology (abstract here) by Dr. Paul Newhouse at the University of Vermont and colleagues at Vanderbilt, Georgetown, Duke and the University of California San Diego. “This study demonstrated that transdermal nicotine treatment for 6 months improved cognitive performance in subjects with amnestic MCI…Several secondary cognitive measures showed significant nicotine-induced improvement including psychomotor speed and attention on several tasks as well as significant effects on long-term memory seen in both the paragraph recall task and computerized word recall task…There were trends for improvements in a number of other cognitive measures…There was no evidence for loss of cognitive effects over time. The primary clinical outcome, the Clinical Global Impression by the clinician, did not show significant improvement; however, patients and their informants did report nicotine-induced improvements. This research confirms that nicotine improves cognitive performance in people with MCI, and it may also benefit those with Alzheimer’s Disease. For those who would demonize nicotine, this should be highly informative. When Congress passed the 2009 Tobacco Act, it directed the FDA to study the issue of dissolvable tobacco products (DTPs). After meetings in July 2011 and last month, the Tobacco Products Scientific Advisory Committee (TPSAC) released a draft report summary (available here). In general, the draft is a reasonable and even-handed discussion of available information on DTPs. The report contains some positive statements. First and foremost, “TPSAC members concurred that available evidence supports a conclusion that DTPs are likely to be associated with far lower disease risks than cigarettes.” The committee appropriately acknowledges the much lower risk profile of DTPs compared with cigarettes. Although the overall message is affirmative, it is not clear how the committee concluded that DTPs “should be less hazardous” than “SMTs now marketed in the United States.” As I have documented (here and here), TSNA levels in all popular American smokeless products are minuscule. There is no way to prove that DTPs are safer than smokeless products now marketed in the U.S., because the latter have risk profiles that are barely elevated, if at all. However, the report also suggests that DTPs could cause population harm, “by either increasing the number of tobacco users or reducing cessation,” which are persistent but speculative concerns within the tobacco control community. First, because the risks of DTP use are, at most, about 2% of the risks of smoking, the increase in users would have to be over 50-fold to increase population harm. The reduced-cessation concern is also not evidence-based. Currently, cessation is abysmal among American smokers; fewer than 5% quit in any given year. Furthermore, a study published in 2010 (discussed by me here) documented that that there is “no evidence that smokeless tobacco (Ariva or Stonewall) undermines quitting. To the contrary, readiness to quit (in the next 1 month and within the next 6 months) significantly increased among smokers who used a smokeless tobacco product relative to those who continued to smoke conventional cigarettes.” This is unmistakable evidence that DTPs don’t deter smokers from quitting. The TPSAC report concludes with recommendations for additional product testing, surveillance and research; I heartily concur with the call for improved surveillance. As discussed recently in this blog (here), there is a deficit of information in federal surveys on smokeless tobacco use in general, and especially on newer products like dissolvables and e-cigarettes. Adequate information is a necessary prerequisite for meaningful regulatory action. While doctors in the U.S. suffer from a lack of knowledge about the relative risks of smoking and smokeless (here), it appears that general medical practitioners in Norway are somewhat better educated, according to a recent study in Nicotine & Tobacco Research (abstract here). Lund and Scheffels, who considered “much less harmful” as the response consistent with the scientific consensus, were disappointed that only 36% of doctors answered correctly. 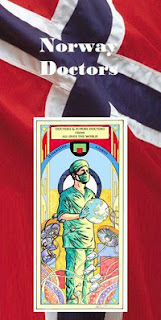 On a positive note, 81% of Norwegian doctors know that snus use is safer than smoking – a far better rate than in the U.S. Compared with ill-informed doctors, those who knew that snus was much less harmful than cigarettes were twice as likely to recommend snus as a quit-smoking aid. Tobacco harm reduction will only succeed when smokers and their physicians are educated about snus and other cigarette alternatives. Although awareness among Norwegian doctors is not optimal, it should be sufficient to reduce cigarette consumption in that country. Last week I made the case that the CDC was largely responsible for the information void related to smokeless tobacco use. (here). Staff from the CDC Office on Smoking and Health have published a report documenting that many adults in the U.S. are not even aware of snus and dissolvable tobacco, and they are mostly clueless about differential health risks of these products versus cigarettes. Annette Regan was the first author of this study, published in the American Journal of Preventive Medicine (abstract here). She and her colleagues analyzed several thousand responses to the 2009 ConsumerStyles and HealthStyles Surveys conducted by Synovate Inc. The results are representative of the U.S. population. Regan et al. wrote that “44% of [American adults] had heard of Camel or Marlboro snus…” but only “5.4% of adults reported trying snus and 1.8% used snus currently.” Only 10% of adults were aware of dissolvable tobacco, only 0.5% had tried it and a scant 0.3% currently used it. Regan et al. don’t acknowledge that Americans are misinformed, and they perpetuate the misinformation by repeating that “all tobacco is harmful.” They opine that snus and dissolvables keep people smoking, but that is ridiculous. Their study shows that it is misinformation that keeps smokers from switching to lifesaving alternatives.